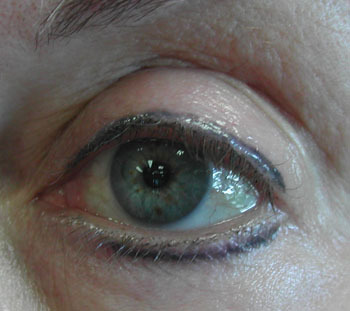 This was an easy correction because the client likes dramatic eyeliner. No exfoliating, but softening of color, adding to the lower lash line, and soft smudging on uppers for proper balance. This was a single procedure correction.